The fourth of a total of six Varshavyanka class submarines of Project 636.1 that Vietnam ordered from Russia has been delivered to Cam Ranh Port in the central part of the country on Tuesday. The Da Nang submarine was transported by the Dutch heavy load carrier vessel Rolldok Star. Its unloading and the submarine’s putting afloat will be carried out within the next two days after all the necessary administrative formalities and customs documentation execution are completed. Swedish company Saab has signed contracts with the Swedish Defence Materiel Administration (FMV) for the construction of two new Type A26 submarines and a mid-life upgrade for two Gotland-class submarines. The orders, signed with FMV on June 30, cover the period 2015-2024 and the total order value is $1.04 billion (€934 million). Orbital ATK, Inc. a global leader in aerospace and defense technologies, successfully launched two GQM-163A Coyote Supersonic Target Vehicles for the U.S. Navy, marking the 47th and 48th mission of Coyote program since its inception 15 years ago. “The recent flight test showcases the robustness of the Coyote target and the commitment of our team to the success of our customer’s mission,” said Keven Leith, Orbital ATK’s Senior Director of Navy Programs. At "Army-2015” International Military-Technical Forum, Russia's United Instrument Corporation unveiled the Glider-T Autonomous Underwater Vehicle (AUV) which can navigate without GLONASS, the Russian version of GPS (Global Position System). The AUV will be able to locate passing ships by their sound, carry out radio-location warfare tasks, imitate false targets, interfere with the operation of enemy hydro-location and other hydro-acoustic equipment, according to Sputnik International. The French Navy (Marine Nationale) announced that on 18 June 2015, two Atlantique 2 (ATL2) maritime patrol crews were qualified to GBU-12 Paveway II laser guided bomb shooting procedures with self-designation. This flight marked the end of a training course which confronted crews to modern technologies used in air-to-ground support missions thanks to the Wescam MX-20D electro-optical turret fitted on ATL2 Standard V.
At the International Defense Exhibition in Serbia, Partner 2015, which took place from the 23 to 26 June in Belgrade, Serbian State Defense Company Yugoimport unveiled the Premax 39, a Multirole Fast Patrol Boat especially designed to be used in rivers, lakes as well as littoral water. The Royal Australian Navy Adelaide class frigate, HMAS Melbourne, has successfully fired two Evolved Sea Sparrow Missiles (RIM-162 ESSM), reinforcing her war-fighting and mariner skills. The missile firings were conducted off the coast of New South Wales on 24 June against an unmanned aerial target launched from the Beecroft Range at Jervis Bay. According to several Middle Eastern news outlets, Egypt is about to procure an NH90 NFH Maritime Helicopter for its newly acquired FREMM multi-mission frigate Tahya Misr (originally intended for the French Navy and formerly nammed Normandie). The NH90 NFH (for NATO Frigate Helicopter) is fully operational with the French Navy. According to many, the FREMM/NH90 combo is one of the most potent anti-submarine warfare tool available today. Huntington Ingalls Industries' (HII) Newport News Shipbuilding division delivered the submarine John Warner (SSN 785) to the U.S. Navy yesteday. The Virginia-class submarine, the first to be named for a person, was delivered two and a half months ahead of schedule. DCI is announcing the signature of a contract with the Indian state shipyard named MDL (Mazagon Docks Limited) to train the first two Indian crew operating SCORPENE type submarines. 100 sailors will be trained by DCI (36 per crew, one spare and some Indian would-be instructors who will train the next crew). Royal Navy Echo Class Survey Vessel HMS Enterprise to Conduct Intelligence Mission In Med. The Royal Navy Echo class survey vessel HMS Enterprise will replace Albion class assault ship HMS Bulwark in the Mediterranean sea and shift focus on intelligence gathering role to disrupt the smuggling networks and the criminal gangs running the illegal migration operations. General Atomics (GA) was awarded an undefinitized contract action for the production of the Electromagnetic Aircraft Launch System (EMALS) and Advanced Arresting Gear (AAG) for the future CVN 79 aircraft carrier to be named John F. Kennedy. This contract is for the production of equipment to support installation of EMALS and AAG into CVN 79, the second of the Gerald R. Ford-class aircraft carriers. CVN 79 is scheduled to be delivered to the U.S. Navy in 2022. On June 17, the United States delivered the last two (of four) Fast Missile Craft naval vessels to the port of Alexandria in support of Egypt’s security and the Egyptian people. The two Fast Missile Craft, built by VT Halter Marine in Pascagoula, Mississippi, arrived in Alexandria on board a U.S. transport ship, and will be integrated into the Egyptian Naval fleet in the coming weeks. This delivery effectively doubles Egypt’s total fleet of Ambassador MK III (Ezzat class) Fast Missile Craft from two to four. NUSHIP Adelaide, one of two Landing Helicopter Dock (LHD) ships being built for the Royal Australian Navy (RAN), left BAE Systems Williamstown on 17 June to begin sea trials, the company announced yesterday, June 23, 2015. After some initial trials in Port Phillip Bay, NUSHIP Adelaide will spend ten days on the water travelling to Sydney. The Navy has issued a call to industry for options for an over-the-horizon anti-surface missile for the service’s future frigate design, according to a notice from Naval Sea Systems Command (NAVSEA). The request for information (RFI) — issued on June 15 — asks industry for options for a complete systems that includes the munitions, the fire control system and the launch system for the future missile destined for the frigate with an upward weight limits of 22,500 pounds, according to the notice. Caterpillar Marine has announced Cat power solutions have been selected to power 16 new build Patrol Boats for the Republic of Korea Navy (ROKN). Each Patrol Boat will be equipped with two Cat C32 main propulsion diesel engines and two Cat C9 ship service diesel generators. The first Patrol Boats will be constructed at the Hanjin Heavy Industries and Construction (HHIC) shipyard in Korea. 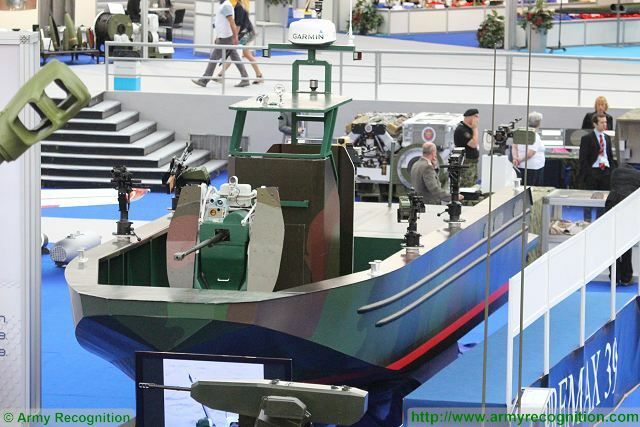 Russian Shipyard "Rybinsk Shipyard" (in Yaroslavl region) was showcasing its BC-16 new high-speed landing craft (project 02510) for the Russian Navy during the large defense exhibition "Army 2015" held last week near Moscow. The BC-16 shares many similar design features with the famous CB90-class fast assault craft designed by Sweden's Dockstavarvet. The F-35 Lightning II program made aviation history June 12 as Royal Air Force (RAF) Test Pilot Squadron Leader Andy Edgell released two inert 500-pound dual mode Paveway IV precision-guided bombs from aircraft BF-03 over the Atlantic Test Ranges. NHI celebrated during the Paris Air Show 2015 the operational achievements of the French Navy with the NH90 NFH “Caiman” Marine. This event took place in the NHI Pavilion in presence of vice-admiral de Tarlé vice-chief of the French Navy, and Rear Admiral Thouvenin commanding the French Fleet Air Arm in presence of the NHI Board. MARINE CORPS AIR STATION NEW RIVER, N.C. -- Spirits ran high aboard the Karel Doorman, a warship with the Royal Netherlands Navy, as U.S. Marines with Marine Medium Tiltrotor Squadron 261 made the first MV-22 Osprey landing aboard a Dutch ship during an interoperability test conducted near Marine Corps Air Station New River, North Carolina, June 12.